Though I had searched the garden bed pretty thoroughly with my bare hands and clothed husband, I suspected the garden contained more potatoes. I further suspected a scooping and sifting tool might help me and realized I used such a tool almost every day to scoop cat boxes. I bought a new one – you are relieved! – and discovered the shape is right, but the tool is insufficiently sturdy. 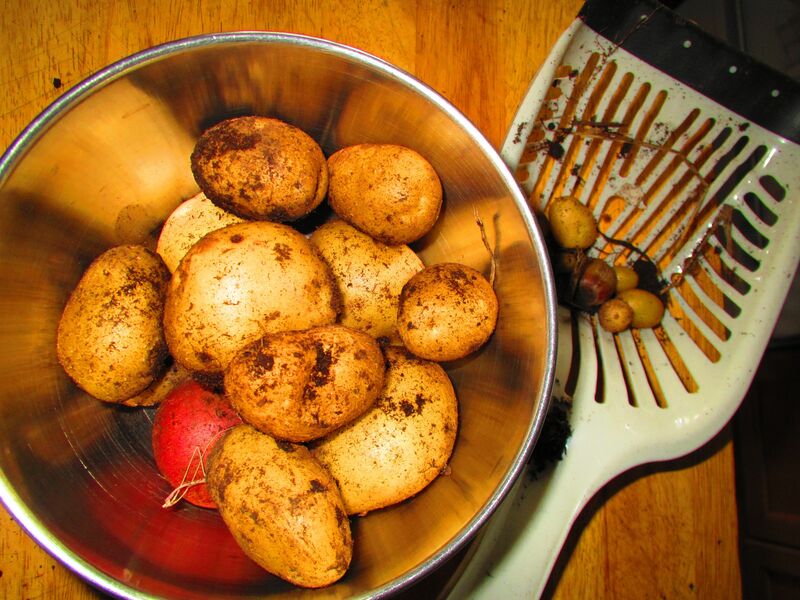 Even so: my bare hands found more potatoes in the garden where I had searched at least three times. This growing potatoes thing is FASCINATING.